Platelet-rich plasma (PRP) treatments offer a natural solution to chronic pain that utilizes your body’s healing properties to repair and restore damaged tissues.  PRP specialist Stuart A. Kauffman, DO, provides safe and effective platelet-rich plasma treatments at PRP in Philadelphia, his Huntingdon, Pennsylvania, practice. Dr. Kauffman is a primary care physician with more than 20 years of pain management experience. To learn more about PRP, call the office or schedule a consultation online today. To determine if you’re a candidate for PRP therapy, Dr. Kauffman begins with a consultation and physical exam. He reviews your medical history and discusses treatments you’ve tried in the past to relieve your pain to determine what therapies will work best for your unique situation. If you’re a candidate, Dr. Kauffman explains the procedure, how long it takes, and what you can expect during and afterwards. Since PRP is a minimally invasive in-office procedure, you don’t need to follow the same precautions as you would before or after a surgery. This means you won’t need to fast beforehand or undergo a lengthy recovery period. The risks associated with PRP injections are also significantly less than those associated with surgery for joint problems. Generally, no antibiotics are needed following a PRP injection since the procedure uses your own blood cells and there’s little risk of infection. After your PRP injection, you might notice slight redness, bruising, or soreness at the injection site for a few days. Compared to surgery, this discomfort is minimal and resolves quickly on its own without the need for prescription pain medications. PRP is also considered a natural and permanent solution to joint pain. Dr. Kauffman understands that while some conditions resolve following surgery, others do not and may require additional treatments or surgeries. With natural PRP injections, you can get pain relief while avoiding an unnecessary surgery. In most cases, you’ll have an initial visit to collect a sample of your blood for processing before the platelets can be injected back into your system. Dr. Kauffman collects your blood as with a normal blood test and processes it in a centrifuge to separate the platelets. He then injects the platelets into the treatment site using ultrasound technology to guide the procedure for correct placement. The injection only takes a few minutes and you can return to your normal activities the same day. Dr. Kauffman checks in with you over the following months to ensure you’re healing and experiencing less pain. To learn more about platelet-rich plasma therapy, call PRP in Philadelphia or book an appointment online today.